Here at Wicked Bucks, we have sourced a range of accommodation options to suit any taste. 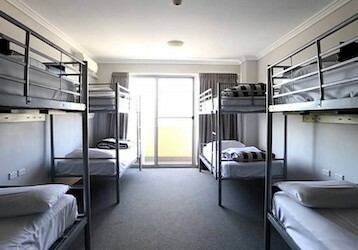 Share a bunk with your buds in a 10-man backpackers dorm room then dance the night away in the onsite bar. Or relax in your private apartment complete with balcony, living area, and spa. We’ve got you covered! Get in touch with the Wicked party planning team for the perfect package. Have a look today! 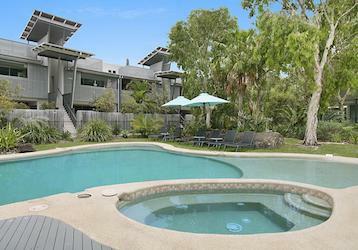 This highly-regarded hostel brings everything you could need for your stay here in Byron. 24-hour reception, free Wi-Fi, the use of a BBQ and a communal kitchen, onsite parking, a relaxing TV room, and a spa, are all at your fingertips. Offering both private and dorm rooms, with both shared bathrooms and ensuites, you will sleep well on their soft beds after what promises to be a big day of celebration. A step up the ladder brings you to our mid-range option, where you are rewarded with a little more privacy. Sleeping in clean 1 and 2 bedroom apartments, you will enjoy free WiFi and the use of the swimming pool to beat the heat. It’s convenient location puts you right on the edge of the CBD – just in case you decide to tie one on in the evenings. Our premium accommodation option in Byron is pure class. 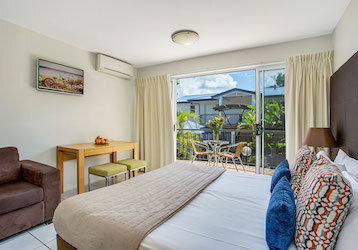 Four stars, this hotel brings it all, from the well-appointed rooms, to the air conditioned atmosphere, to the beachside location, overlooking the striking blue of the Tasman and the gleaming sands of Byron Beach. Prepare to pampered – as you should be, for a party like this one.